Dorman-engineered with robust materials to improve durability and performance, Dorman HVAC Heater Blend Door and Heater control valve actuators restore and maintain proper functioning of the HVAC System. Please Check the part number and our fitment before placing order. Professional installation recommended! ACDelco GM Original Equipment HVAC Heater Water Flow Control Valves control the flow of engine coolant through the heater core and are GM-recommended replacements for your vehicle s original components. The heater water flow control valve is closed when maximum A/C cooling is selected. 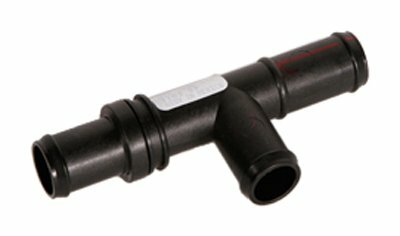 These original equipment HVAC heater water flow control valves have been manufactured to fit your GM vehicle, providing the same performance, durability, and service life you expect from General Motors. BMW cars are famous for their reliability and great performance. However, the cost of car service and auto repairs can be high. We ve noticed a common problem with interior heating. The temperature doesn t adjust properly, hot and cold air blow from different sides at different times and so on. 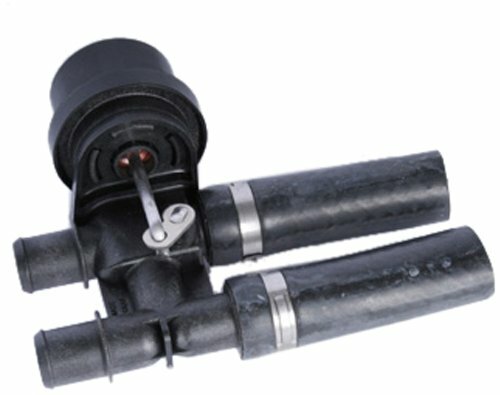 The reason for these problems, which are extremely inconvenient for the driver, is the valve for the heater, mainly from the deformation of the rubber parts inside the valve under the negative pressure of tosol or anti-freeze. We have created a service valve repair kit for our clients, BMW users and service stations, which quickly, effectively and inexpensively solves this problem. You can replace the valve with our repair tools by yourself. Our automotive repair tools are fully compatible with the car s original details and are of equal quality. Attention! Please verify the part number on your vehicle before ordering. 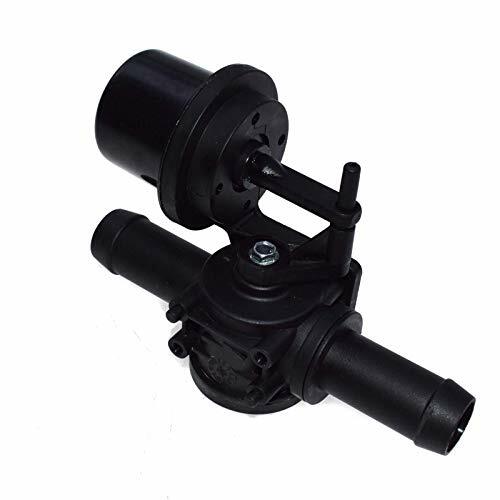 To order the right auto repair part set, which is correct for your car, you need to know the number of your heater valve. You can easily see the necessary /N (part number): look under the hood, lift the valve up a bit and on the side you ll see a stamped number this is the valve P/N. Haven t found your P/N on our list? Contact us and we ll find the right auto mechanic repair kit for your BMW. A SIMPLE AND ECONOMIC SOLUTION FOR HEATER PROBLEMS IN YOUR BMW. 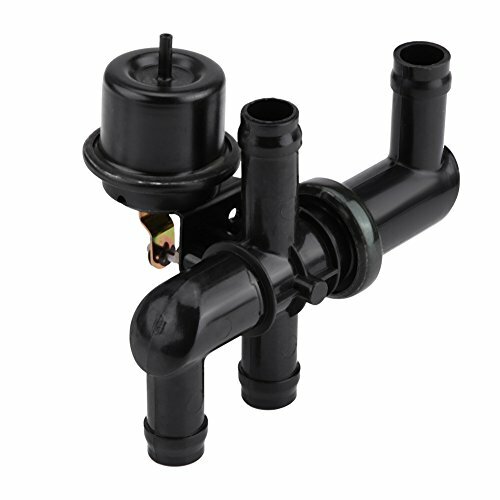 The BMW valve repair kit is a full kit of rubber parts for the BMW heater valve, which lets you repair the heater without having to replace the valve. Instead of wasting hundreds of dollars and having to deal with a service center, spend just a few dollars and fix the problem by yourself. FULL COMPATIBILITY WITH ORIGINAL DETAILS. 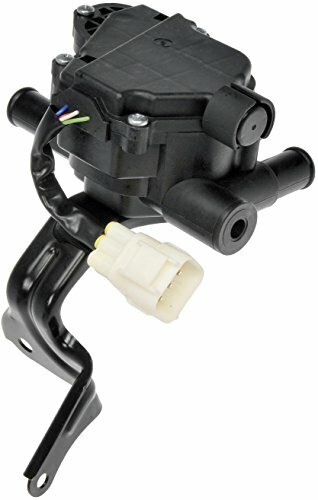 The BMW heater valve repair kit was created by professional mechanics who have experience repairing BMWs. When you select the correct heater repair part by the /N (part number) on the valve, you can be sure that the set will be the right one for your cars. 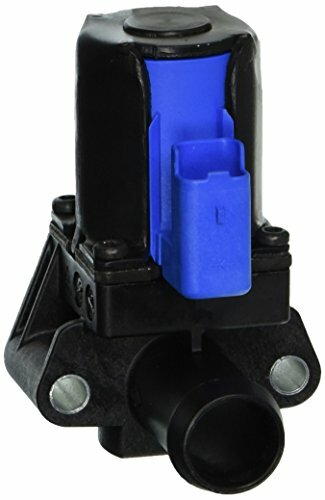 BEFORE ORDERING, CHECK THE P/N OF THE HEATER VALVE. 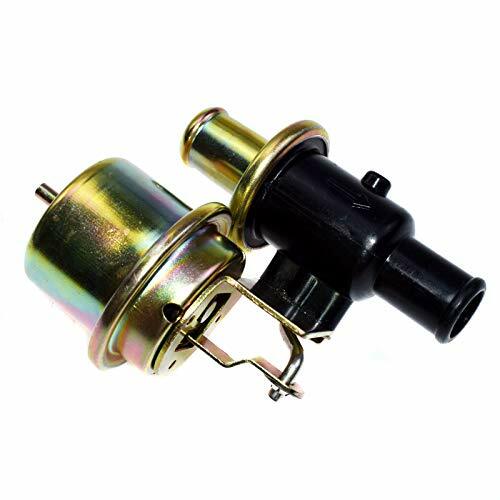 This heater control valve repair kit is great for the following BMW heater valves: E39, E38, E53, E34, E32, E31, E36, E60, E61, E63, E65, E66, E83, E52 & Z3. The list of /Ns is on this page in the product description. QUALITY AND LONG TERM RELIABILITY. 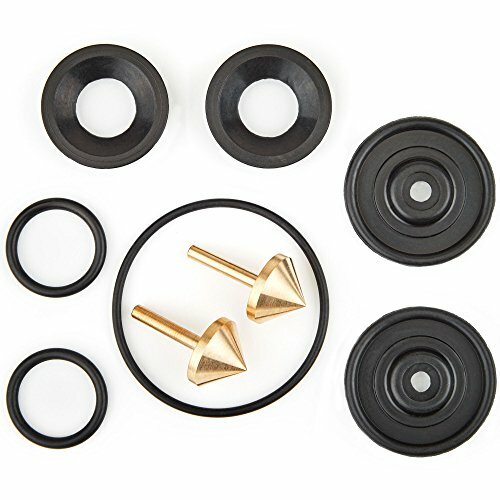 We have produced a valve repair kit of high-quality rubber, which is resistant to oil. The material withstands temperatures from -60 to +220 . There is no official analog to the heater repair kit. Service stations only offer valve replacement (a new or used one). Our kit is made in Ukraine with full compatibility with original details. WE OFFER REAL SAVINGS. Having problems with a heater in your BMW? Don't rush to replace the valve (as a service station will recommended that you do). The problem is usually caused by a worn out rubber part, which by replacing will cost you from 10-30% of what you'd pay a mechanic at a garage! The valve repair tool kit is a ready solution for users and professional mechanics! ACDelco GM Original Equipment HVAC Heater Water Shut-Off Valves control the flow of engine coolant through the heater core and are GM-recommended replacements for your vehicle s original components. 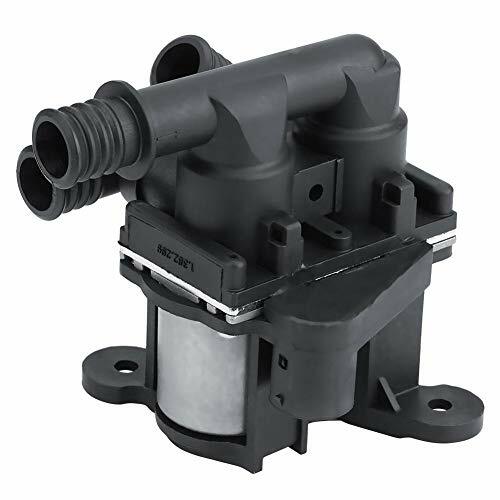 This original equipment HVAC heater water flow control valve has been manufactured to fit your GM vehicle, providing the same performance, durability, and service life you expect from General Motors. As an responsible seller, we promise that 100% Money Refund/ New Replacement and within 24h online answer to your any questions. If your have any product issues, please do not hesitate to contact us. 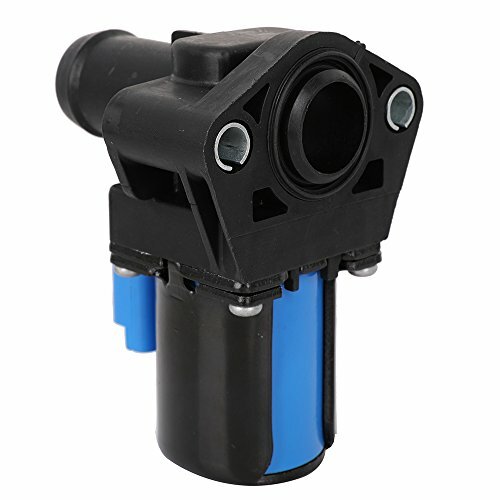 Just feel free to order our Heater Control Valve. We will satisfy you with our professional product and service! Sincere thanks for your browsing and support! 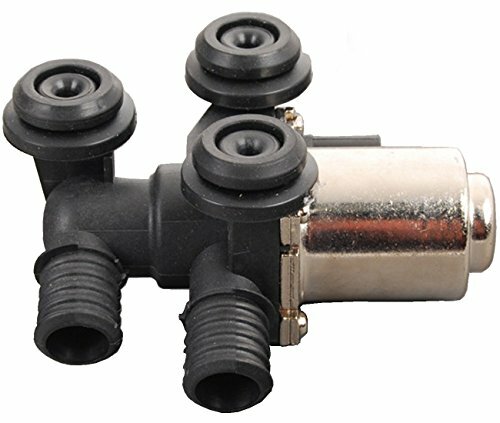 100% brand new aftermarket replacement Heater Control Valve with premium quality. According to original factory specifications, perfect match for your original car. A key component to enhance your beloved car performance. Replacing OE numbers for reference: F87Z-18495-AA, YG350. Easy installation, compatible for Ford Explorer Ranger Aerostar. ACDelco GM Original Equipment Heater Bypass Valves are control valves for the flow of coolant through the heater core. When the heater valve is closed, the bypass valve diverts the coolant flow back to the engine. The valve maintains coolant flow through the thermostat housing to ensure correct operation of the thermostat. 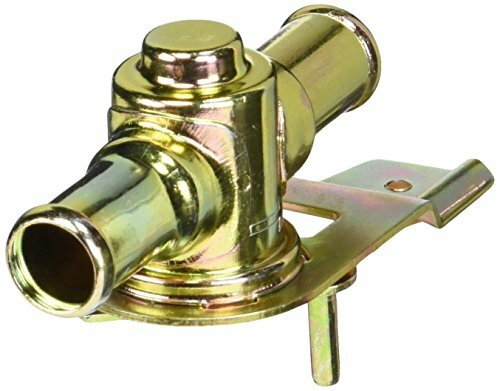 This original equipment heater bypass valve is a GM-recommended replacement for your vehicle s original components and has been manufactured to fit your GM vehicle, providing the same performance, durability, and service life you expect from General Motors. Motorcraft HVAC Heater Control ValveAre you shivering behind the wheel in the winter or sweating in traffic in the summer? Then your A/C and heating systems require repair and Motorcraft has premium replacement parts for your vehicle. Designed specifically for your Ford Mercury or Lincoln the products feature OEM quality and fit and install with no modifications.Features:- Direct OEM replacement for proper fit- Recommended by Ford Motor Company- Made of quality materials- The finest quality at a great price- Include engineering enhancements- Deliver excellent combination of quality fit and durabilityWithout the heating and air conditioning systems in today's vehicles we would all be miserable driving to our destinations. We take for granted the heat that keeps us warm in the winter months and the cool air that refreshes us in the summer time. However the A/C and heating systems consist of numerous parts that must be in good repair so that the whole system functions properly. So no matter whether your A/C compressor fails in the summer or your heater core is clogged in the winter you'll be uncomfortable. 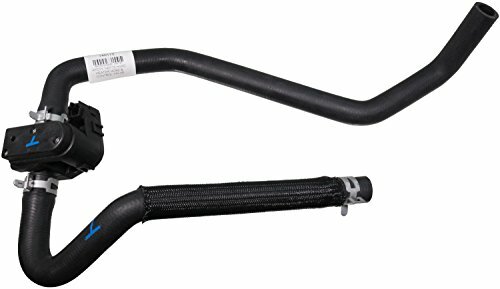 Motorcraft offers you a wide range of A/C and heating components for Ford Mercury and Lincoln vehicles from A/C condensers and sensors to HVAC heater cores and A/C accumulators. 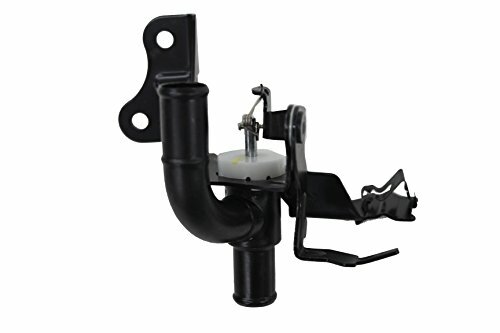 Built to strict Ford Motor Company specifications these products deliver OEM quality and fit. There is no need to shiver behind the wheel in the winter or sweat in the summer when you can get quality A/C and heating replacement parts from Motorcraft. 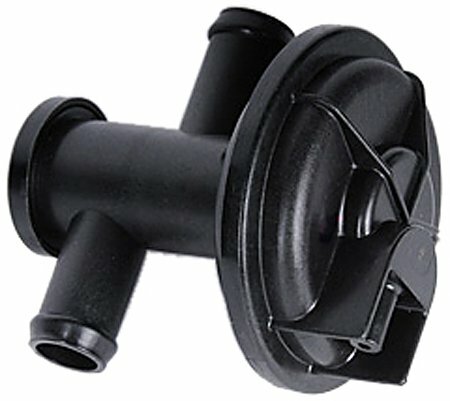 Fitment: The coolant valve fit for DODGE RAM 1500 2500 3500 4500 5500 2013-2018 (Not suitable for 3.0L diesel engine). OE number for reference: 52014892AC. Please check the part number and picture before purchase to confirm that this is suitable for you. Excellent Quality: Made of high quality Aluminum & ABS material, which is durable, high temperature resistant, rust resistant and has a long serve time. Great Aftermarket Replacement: Exquisite workmanship, original standard, you can direct replacement for old or broken one. Stable characteristics and high reliability. 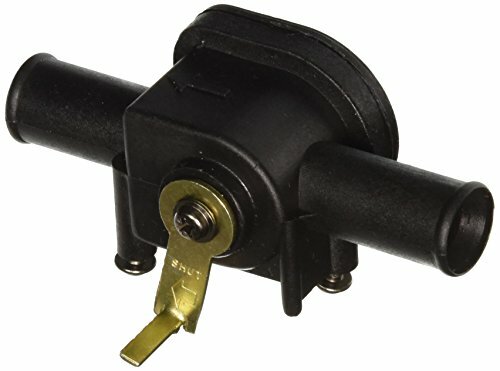 Easy Installation & Removable: Easy to install without extra adjustment, perfectly match the original car. Convenient for assembly and disassemble. 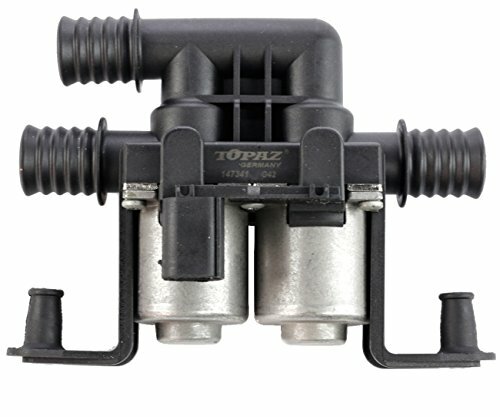 Compatibility The air conditioning heater control valve compatible with Ford Explorer Ranger Aerostar. Replacing OE numbers for reference: F87Z-18495-AA, YG350. 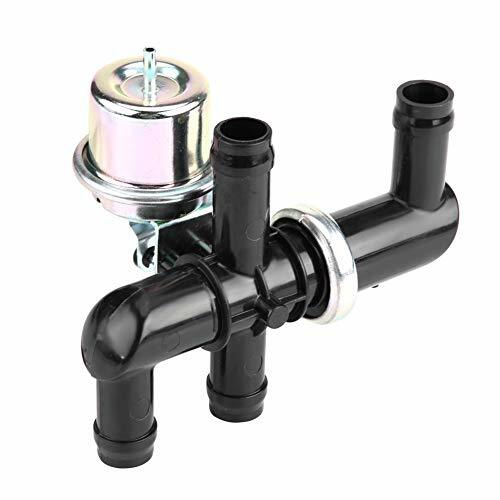 High Quality Heater control valve is made of aluminum material for added stability and strength for durability. 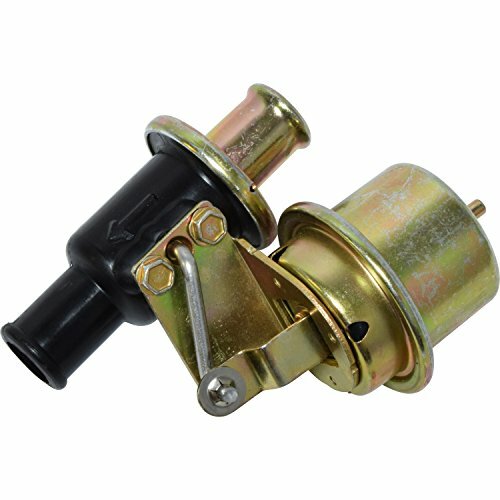 100% brand new aftermarket replacement heater control valve with premium quality. 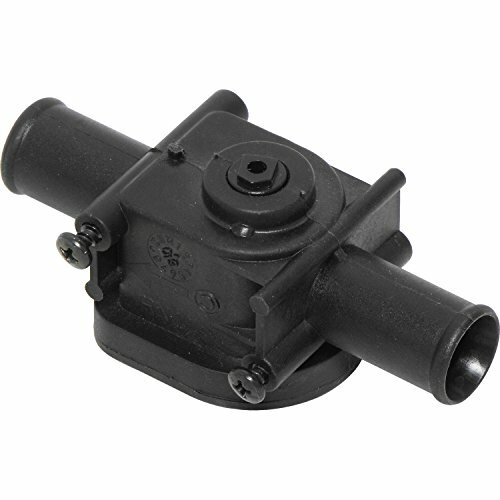 Product Notice The heater control valve for Ford is an upper and lower bracket type alternator and is installed by means of a water pump. It's a key component to enhance your beloved car performance. Simple Installation Easy installation. 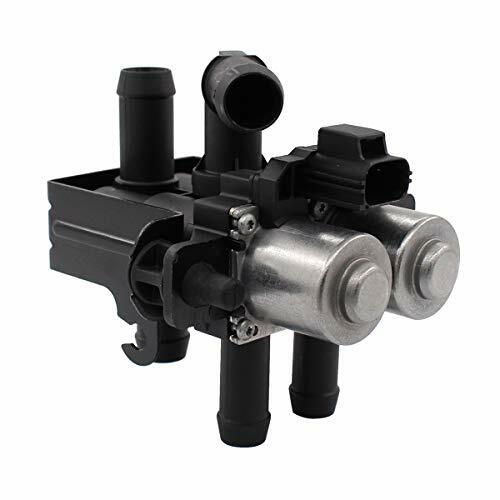 The heater valve is according to original factory specifications and perfect match to your original vehicle, a direct replacement for the old or broken heater control valve. Question Answer Please confirm that this part fits your vehicle before you buy it. If you have any questions, please feel free to contact us and our experienced customer service team will respond within 24 hours.